Yamamoto Koji was so compelling in both Shinsengumi and the special Hijikata Toshizo episode! And he's got a great singing voice too. I really like him. 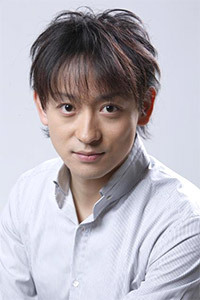 He is also the voice of Hanazawa Rui in the Hana Yori Dango anime! He's soooo kakoii in Shinsengumi!!! He's simply hot in "Shinsengumi".